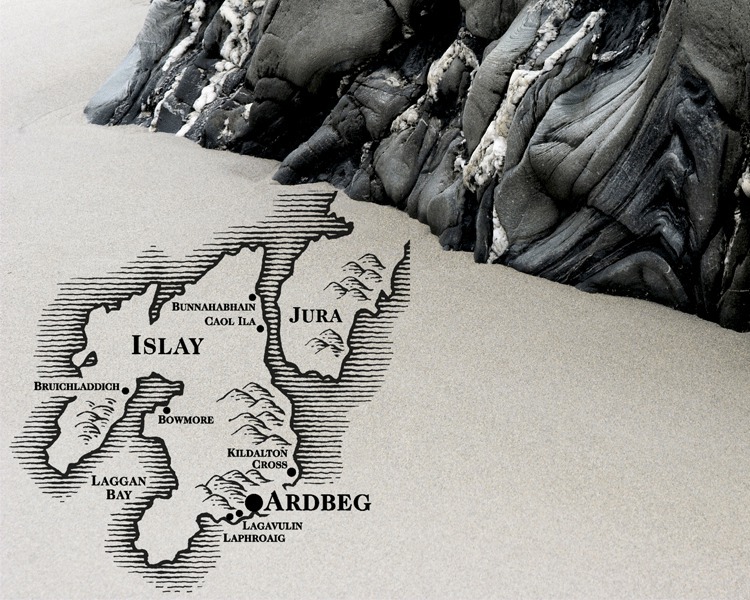 Like its famous neighbor, Laphraoig, the spirits made at Ardbeg have a high content of peat. And what is peat? Decayed vegetable matter, basically, found all over the world and used in pre-industrial cultures as fuel. On Islay, it stokes the fires that dry malted barley for distilleries. It imparts a distinctive earthiness and smokiness to the whisky, an aroma and flavor that not everyone tends to like: it is best described, in gracious terms, as an acquired taste. The use of peat is traditional, and it is still included in the distillation process by houses that want to preserve a 19th century style of spirit. Most Scotch whiskies have a phenolic level of 30 ppm (parts per million) of peat. Islay malts are typically around 50 ppm, and bottles such as Ardbeg’s Supernova exceed 100 ppm. Kelpie has attracted attention for being aged in virgin oak casks from the Adyghe Republic in Russia, which leads into the Black Sea. Little is known about these barrels in the West, except that they are apparently prized by local winemakers and rarely used to age spirits---the standard for Scotch would generally be a charred American white oak cask that had once held Bourbon. 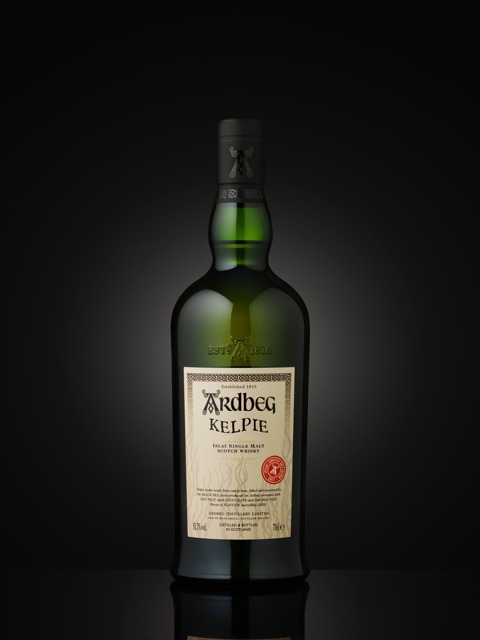 Ardbeg says that they impart “incredibly deep flavors” to the whisky, a claim that is difficult to verify. We reached out to an Ardbeg representative for more detail (see below). Kelpie was bottled at 92 proof/46% ABV. The peat infuses the nose with distinct vegetal aromas, along with whiffs of salinity that overlay notes of tobacco and citrus. 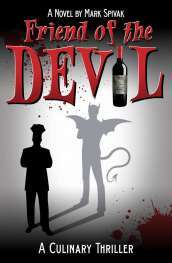 The whisky is high-strung and electric on the palate, with alternating flavors of spice and saltiness. It expands in the midpalate with anise, black pepper and hints of chocolate. The finish is long and resonant. A teaspoon of water tames it nicely, achieving a ripe and round texture. Fans of the traditional dram will love this one. Brendan McCarron, Head of Maturing Whisky Stocks at Ardbeg, provided some background on the virgin Black Sea oak casks used to mature Kelpie before the whisky is transferred to ex-Bourbon casks for finishing. What made you decide on this wood? 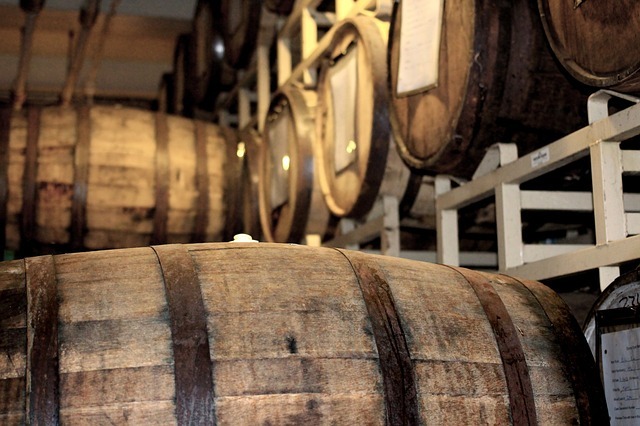 In truth, we are always looking for new, different casks. Sometimes casks that have contained different wines can change the flavor of our whisky, but we are also looking for new and different types of oak. We have many “experiments” maturing in our warehouses, but the reason that we released Kelpie with Black Sea oak is that this oak type was ready, and the whisky tasted so good. What makes this Black Sea oak different than other oaks? It has lots of similarities to American oak, hence the softer, sweeter, vanilla fudge finish of Kelpie, but it definitely has some French oak style. So tannic, and that to us is why there are the herbal and salty flavors that first hit your palate in Kelpie. Did you experiment with this wood first, or did you have a specific flavor profile in mind and then select this wood to try to match that profile? A bit of both. We’re always on the lookout for something different, but at the same time we have a few flavor profiles we’re trying to achieve. Kelpie is one of those where the two goals met somewhere in the middle. Why did you go with virgin Black Sea oak instead of refill (ex-Bourbon casks)? We wanted to see the difference in this strain of oak, so we toasted rather than charred and kept it at virgin oak. Also from a practical point of view we didn't want to send them to say Kentucky to be filled with a whiskey first. But primarily it was to see what differences this oak had on our whisky.